Since its initial incarnation in the mid-20th century, the religion of Wicca has expanded and evolved into countless individual forms. 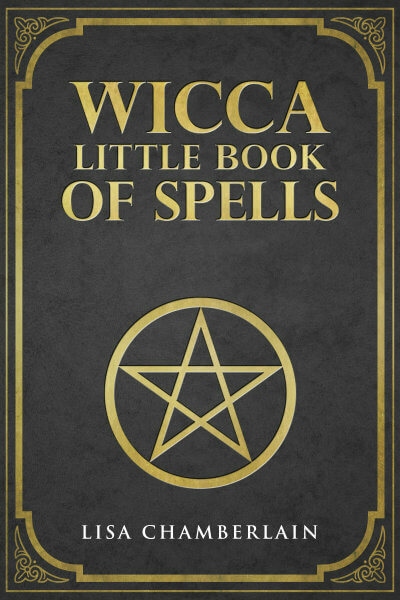 And since there is no official, authoritative text laying out exactly how people who practice Wicca are supposed to think, it’s a bit dicey to be generalizing about Wiccan beliefs. Nonetheless, there are a few core components to the Wiccan view of the world that tend to shape most, if not all, practices among those who identify as Wiccan. Links to more information about each of the topics discussed below can be found within the article. The Goddess and the God are the female and male essences of the all-encompassing life force responsible for all of creation, including the cycles of life and death on Earth. As supreme deities, they are honored at the altar during every Wiccan ritual, and often during magical work as well. Many ancient cultures worshipped a Sky Father and an Earth Mother in one guise or another, which modern-day Wicca emulates to a certain degree. Each deity governs certain aspects of existence, but it is through their union that life on Earth is created and sustained. As the feminine half of this all-encompassing life force, the Goddess is associated with both the Earth and the Moon. In her association with the Moon, the Wiccan Goddess rules the night and the ocean tides, as well as the reproductive cycles of women and the realm of the human psyche. In many Wiccan traditions, the Goddess takes a three-fold form, known as the Triple Goddess. Her individual aspects, known as the Maiden, the Mother, and the Crone, are aligned with the phases of the Moon’s cycle as it orbits the Earth—waxing, Full, and waning. In this watery element, the Goddess is associated with emotion, intuition and the wisdom that comes from engaging with our shadow side. As the Earth, she represents the grounded, physical energy that allows all life to take root and flourish, and is associated with domesticated animals, fields and crops. She is both mother and partner of the God, and together their cycles of planting, growth, and return to death keep the Wheel of the Year turning, clearing away the old and bringing forth the new in the timeless co-creation between this divine pair. As the essence of the divine masculine, the God is associated with the Sun, whose strong light is considered to be an aspect of male energy, and which is necessary for the growth of all life. But he is also associated with the horned animals of the forest, and with the masculine energy of hunting the game traditionally needed for survival. In some Wiccan traditions, the God is further represented by two twinned aspects: the Oak King and the Holly King. Representing the waxing and waning of the Sun as the seasons turn, the two figures take turns ruling over the year. The Oak King reigns during the light half, or throughout Spring and Summer, while the dark half—Autumn and Winter—belongs to the Holly King. For many Wiccans, within these all-encompassing God and Goddess energies are countless ancient deities who have existed since before the beginning of recorded history. Gods and goddesses like Osiris and Venus, who predate the modern religion of Wicca by thousands of years, have been essentially reclaimed over the past century by those who feel connected to them as a living presence in their lives. Traditionally, these ancient deities are incorporated as parts, or “lesser aspects,” of the Goddess and God. However, some eclectic Wiccans are more polytheistic in their practice, and may worship ancient gods and goddesses in addition to the Wiccan divine pair. The eight major holidays—or Sabbats—of the Wiccan Wheel of the Year provide regular occasions for practitioners to honor the roles of the Goddess and God in sustaining life. The mythological story of the Wheel revolves around the cyclical relationship between the God as the Sun and the Goddess as the Earth, with the God continually dying each Autumn and being reborn each Spring, growing strong throughout the Summer only to die again, echoing the growth cycles of plant life both in agriculture and in the wild. In this worldview, death is seen as an essential part of ongoing creation, as the old must make way for the new. The overall vision of the endless birth/death/rebirth cycle is one of balance between the female and male Universal energies, and each Sabbat can be seen as representing a particular stage of the cycle. Corresponding with the Earth’s position relative to the Sun, the Sabbats include the Solstices (Yule and Litha), the Equinoxes (Ostara and Mabon), and the four cross-quarter days (Imbolc, Beltane, Lammas and Samhain) that fall in between these solar points. In addition to the God and Goddess, many Wiccan traditions emphasize the Elements—meaning the “classical elements” of Earth, Air, Fire and Water, plus the Fifth Element of Spirit. The Elements are seen as the fundamental building blocks of the Universe, physically present in everything throughout the world. In other words, every aspect of material existence is bound up in Earth, Air, Fire and/or Water, while Spirit, the Fifth Element (also known as Akasha), is present in each of the other four. The Elements are the acting forces of the eternal cycle of destruction and new creation that is at the heart of all life on Earth. The Elements are understood to be distinct spiritual energies and are an integral part of Wiccan ritual. Typically, they are invoked at the start of ritual to participate in the celebration at hand and may be asked for assistance in magical work. When it comes to Wicca, magic is not so much a “belief” as a practice. Wiccans don’t need to “believe” in magic, as magic is merely a set of techniques for working with the natural laws of the Universe, and the results of successful magic can be experienced with the physical senses. Magic is not unique to Wicca, and not all Wiccans practice magic, but those who do are careful only to work spells that do not harm other living beings or the Earth itself. In fact, one of the first things Wiccans usually learn when it comes to working magic is the phrase “harm none.” It is often said that this is the only real “rule” in Wicca. This is the main takeaway from what is known as the Wiccan Rede, and it is taken quite seriously, as it serves the ideal of living in harmonious balance with all of existence. A related tenet regarding Wiccan magic is the Threefold Law. Also known as “the Rule of Three,” this belief is part of many, but not all Wiccan traditions. It states that every magical act sent out into the Universe—whether positive or negative—will be returned to the Witch three times. This is somewhat akin to the concept of karma found in some Eastern religions, but with a Western twist, as it applies a specific equation (“three times”) to the return of the energy sent out by the practitioner. It could be argued that the Threefold Law is in place for those who need consequences, in addition to ethics, in order to resist any temptations to work harmful or manipulative magic. After all, like everyone else on the planet, Witches are ultimately only human! 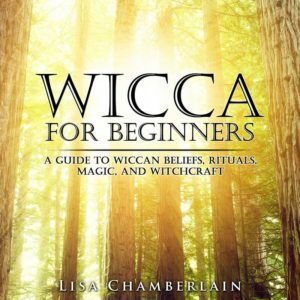 This is just a very brief introduction to the main beliefs found within the very diverse religion of Wicca. Other, more detailed articles on each of these topics can be found throughout the site, so please do have a look around!